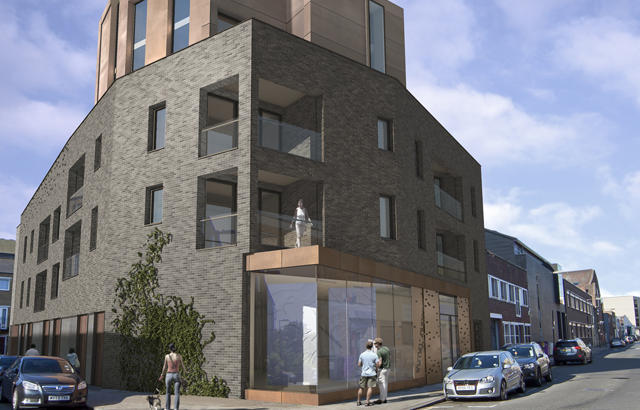 Work has begun on site at Vyner Street in Bethnal Green, where a new mixed-use development will offer much needed homes and jobs for the local community when complete. 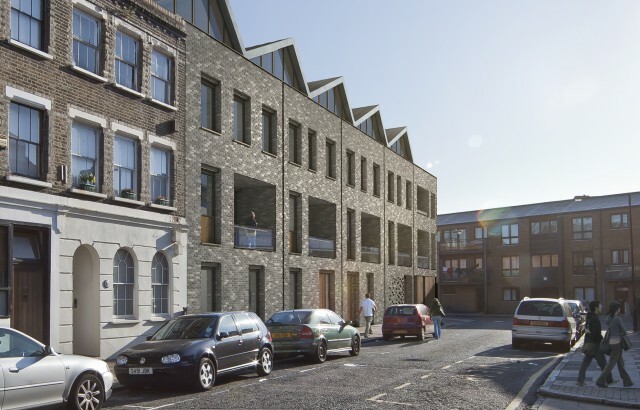 The plans to redevelop the existing poor quality warehouse to provide 23 new homes and 410m2 of flexible office space received consent from the London Borough of Tower Hamlets earlier this year. Our scheme, designed for the Aitch Group, features two blocks of four and five storeys with office space on the ground floor and new homes above, which range from one-bedroom apartments to three-bedroom duplexes. Surrounded predominantly by residential and industrial uses, the corner site is located on a thriving artistic street with contemporary galleries and regular showcase events. 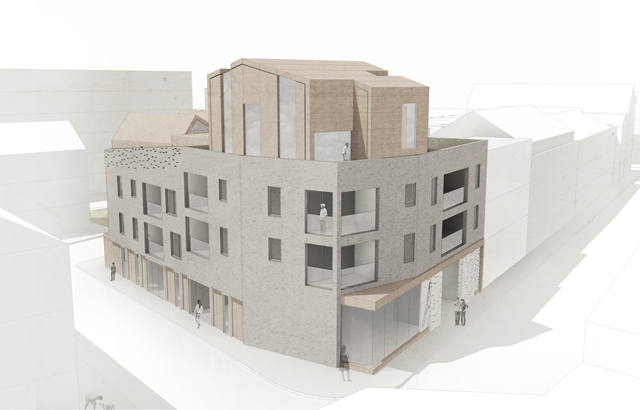 The scheme adds to this context by retaining employment use on site, while improving the visual townscape and security for the local community. Situated within the Regents Canal Conservation Area, the design solution was led by the local historical and industrial context. Elevations reflect those of adjacent Georgian terraces by maintaining similar arrangement and composition with deep reveals throughout, while a set back top floor replicates warehouse architecture with a distinctive roof. A combination of dark and grey brick, copper rainscreen cladding and timber panelling creates a modern finish and ensures the scheme’s integration into the environment. 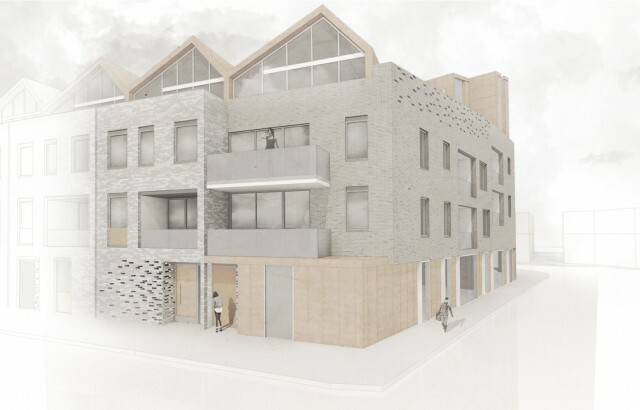 This project will see the regeneration of an urban brownfield site with a sustainable mix of uses that will maximise its potential to create a high-quality addition to the streetscape and enhance the local environment.